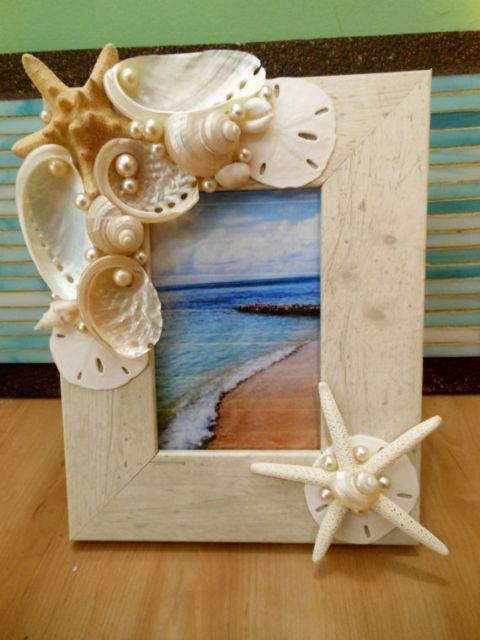 A pretty way to hold a picture from a beach wedding! This gorgeous frame also makes a wonderful wedding gift. 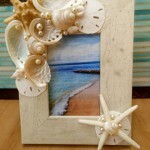 I used a cream colored wood frame with white and polished shells. There are abalone shells, starfish, and small sand dollars, along with some different sized pearls to accent. Very elegant yet beachy at the same time! The frame is big enough for a 3 1/2 x 5 1/2 inch picture. This beautiful piece is perfect for any room in your home!